When I was a teenager, I considered myself “straight edge.” This basically meant that I was not cool enough to be invited to parties where drugs or alcohol would be present, so I pretended it was on purpose. Then, I went to college, and now drinking alcohol has become a regular part of my life. However, sometimes I cringe at just how much of a default drinking has become, especially as more and more of my friends have given up substances for one reason or another. Bars are common meeting places for everyone, parties are labeled BYOB, and I’m sure we’ve even said here that it’s a polite gesture to bring wine to a house party. But here are some thoughts on how not to alienate those who do not drink in your life. Firstly, every reason why someone doesn’t want to drink is valid and should not be pushed. For every person that’s hit rock bottom, there’s another person who has a family history of alcoholism, or is on medication that doesn’t interact well with alcohol, or who doesn’t like being drunk, or who just doesn’t like the taste. Never question or pressure anyone into drinking (or any other drug) who doesn’t want to. 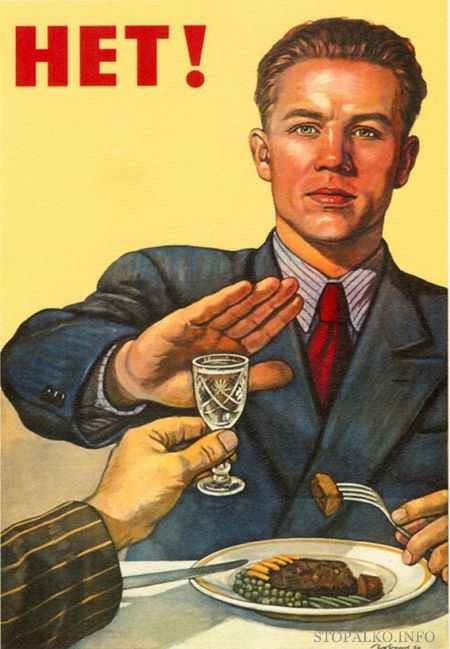 Secondly, do not feel uncomfortable if you are drinking. I’ve seen so many instances of someone saying they’re not drinking, for one reason or another, and the person offering them a drink launches into a long-winded apology or justification of their own drinking habits, or reminding the non-drinker that they “don’t drink that much.” No one cares! It’s good to be aware of your own habits, but if a person who doesn’t drink has knowingly put themselves in a situation where there will be alcohol, chances are they are okay with it and understand the offer is just a polite gesture. Offer them a soda or something else instead, and let it go. Speaking of soda, make sure there are non-alcoholic options available at any party you host, and that you make it clear which things do contain alcohol. The Caron Foundation says, “While some non-drinkers will drink non-alcoholic beer and wine, most recovering alcoholics prefer beverages that don’t look or taste like the real thing. Stock your bar with sparkling water and cider, soft drinks, and juices.” Also, give a heads up with any food cooked with alcohol. If only it were as easy as that, right? The people who want to drink get to, the people who don’t won’t, and everybody gets along. As always with etiquette, you need to know your audience, which occasionally will include someone who just isn’t comfortable around alcohol. I’ve come across quite a few forums in my research of people wanting support for having dry weddings, or lamenting that their social life has basically ended because being in a bar is too tempting. This is a good time to maybe reflect on how big of a part alcohol plays in your social situations. Is every get together at a bar? Do you have sober friends and family who are noticeably absent from most gatherings because there is alcohol present? If your sober friends have expressed that they’re uncomfortable, ask them for suggestions and take them up on them! If you are sober, make sure to make it clear to your friends what you can and can’t handle (i.e. maybe them ordering wine at dinner is fine, but spending every weekend in bars makes you uncomfortable), and take the initiative to plan a few outings that don’t revolve around drinking. Your friends should get the hint, and since they love you and want you to feel comfortable, you can find ways to socialize and enjoy both your lifestyles. And if they don’t get the hint, or refuse to find a compromise, then maybe it’s time for you to reevaluate the relationship. Phew! Ok, that’s a heavy subject. Let’s celebrate by watching John Mulaney’s bit on giving up drinking because it’s hilarious.